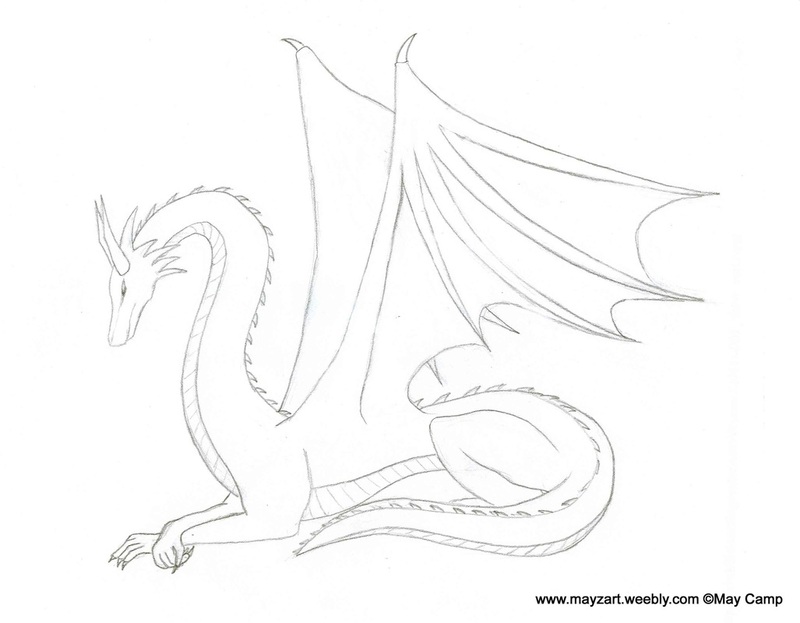 Description: A white dragon with a long neck, body, and tail. It is sitting with its elbows on the ground and one arm crossed over the other, its tail is wrapped around toward the front. There are small spikes along its spine and has two horns coming out of its head. Artist’s Comments: After reading a book on dragons that taught me the small things like “baby dragon foreheads are larger than adults”, “they have rounder faces”, etc, I was finally able to draw the dragon I always wanted to draw. In my opinion, this is still one of the best dragon I have ever drawn to this day. I suppose my later dragons became more simplified.